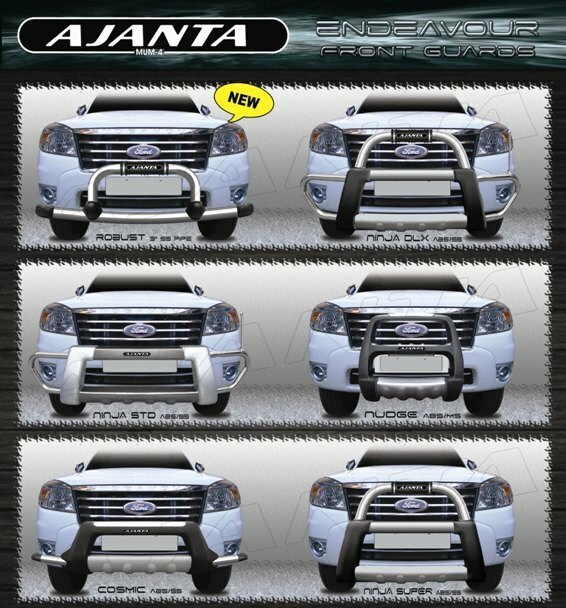 AJANTA manufacture a wide range of accessories for ford Endeavour.We have an exclusive range of front guards FORD ENDEAVOUR in combination of (mild Steel)MS/SS, Steel and Frp, Steel and ABS Plastic and ABS/SS combination. 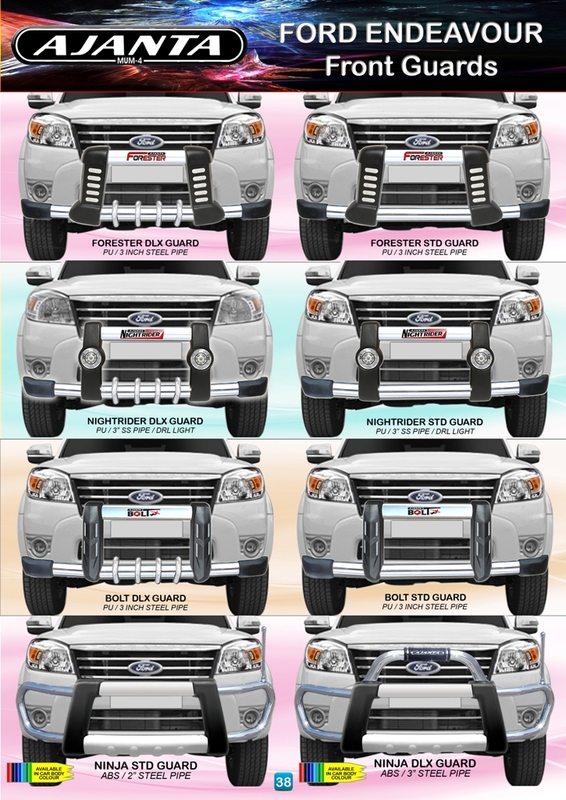 These front guards are specially developed not only to save your vehicle but also to give an exquisite look for it. 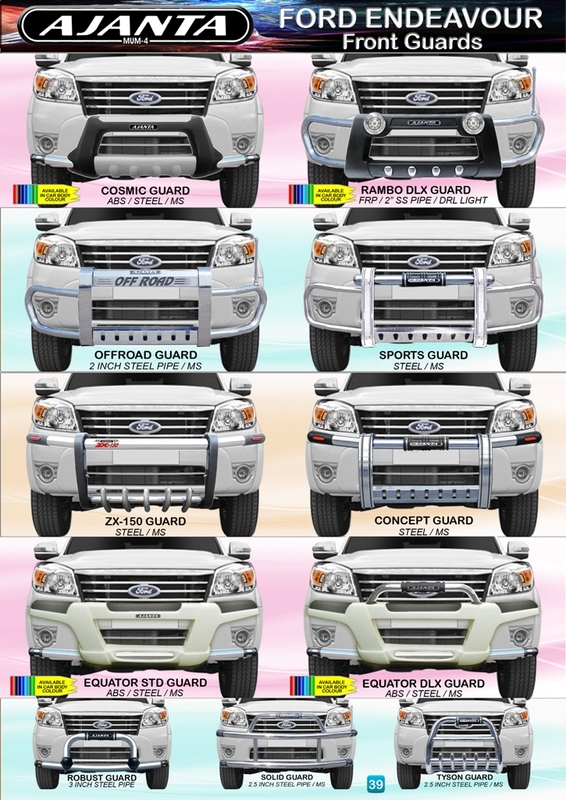 Some of these Abs and Frp guards are available in body matching colour. These guards are developed such, that no drilling is required for its fitment. We try to make it the best in rates. Our range is manufactured as per the latest trends of the market.